With varying complexities and heterogeneous environments, companies utilize different forms of strategies and tests in place. It could be manual testing, it could be automated testing and it could be the combination of both. In this age, wherein we talk about data size in terabytes, it is really difficult to form the testing strategy based on manual testing. We need to have some form of automation for sure in database testing. 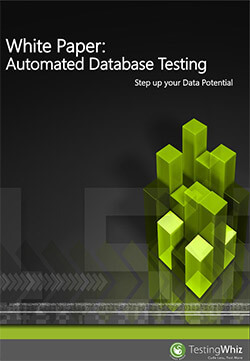 This white paper takes through the journey of Automated Database Testing to step up your data potential.